When a cute little boy turns 1... the party can be big and fun (even if he will not remember it). Here is a fun party hand-out and decoration for a recent Little Nemo birthday party for Andrew's 1st birthday! 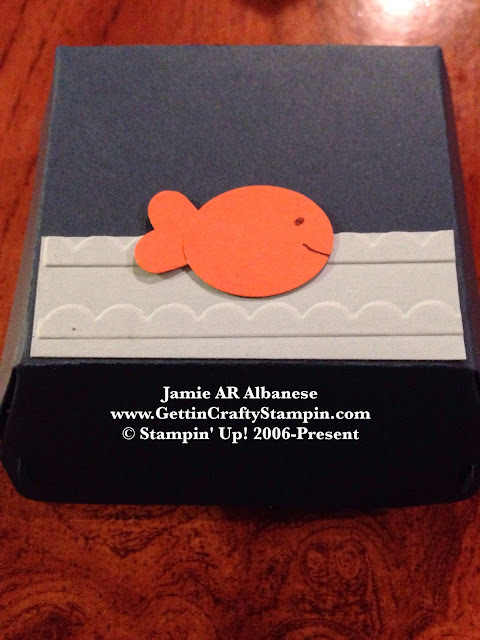 With embossed scallop 'waves' and a cute punch art orange fish, everyone couldn't' get over how cute it is!! This is a preview for the new Hamburger Box Bigz Die in the New Idea Book & Catalog - out in June!! Secure YOUR new Idea Book and Catalog when you email me your name and number or Attend my Upcoming Classes! 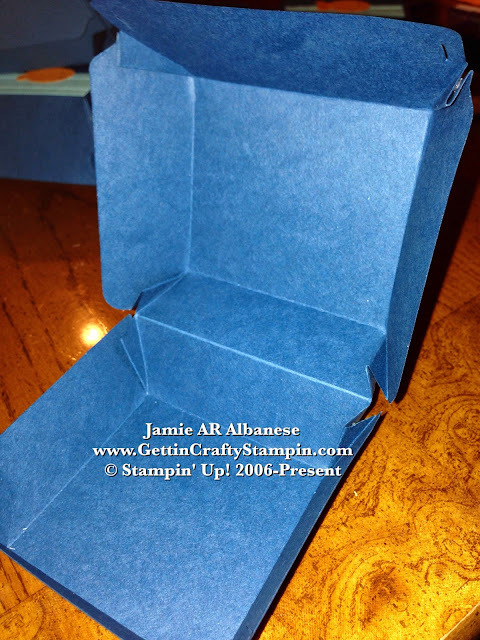 When we started to plan the decorations for the Little Nemo party, you wouldn't think of the Hamburger Box Die... but when you make it dark blue, add some waves and a cute punch-art fish... it was the perfect size for the party. With several options, we considered the Decorative Window Gift Boxes. I love that we chose the new Hamburger Die!! This box reminds me of lent and our Friday Fish Filets lol. Loading this decoration and give away with bubbles, gummy Turtles (from the movie), gummy Red Fish, and Gold Fish crackers. 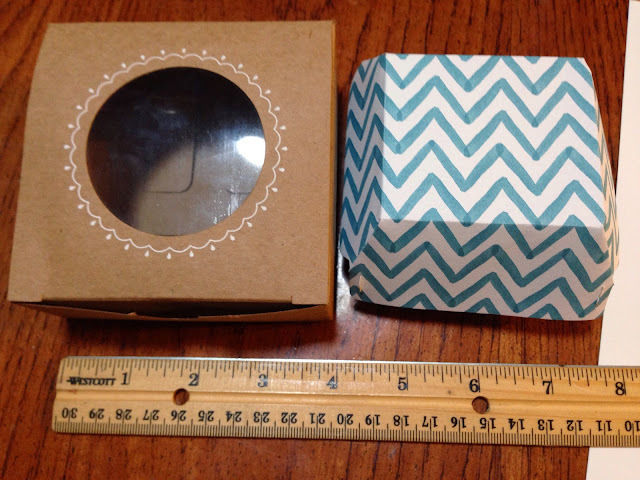 This cute box is the perfect size for a small gift! Create a 'Little Nemo' punch art cutie!! Simply punch the *Small Heart punch and the Small Oval punch in the Pumpkin Pie. 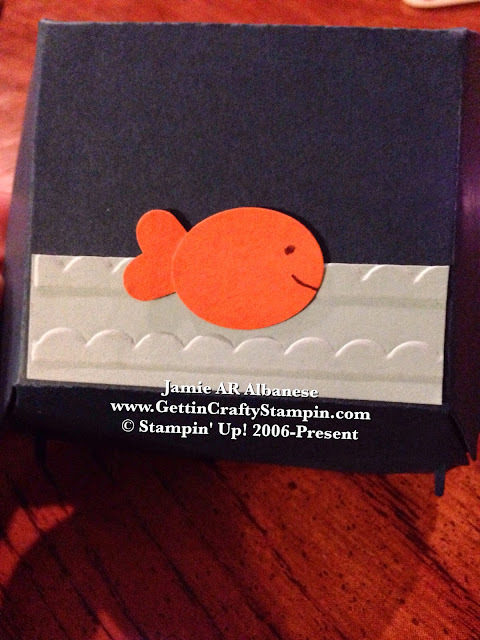 Add a little eye and smile for a cute little orange fish. Layer over the Scallops embossed Soft Sky card stock. This makes for the cutest accent!! 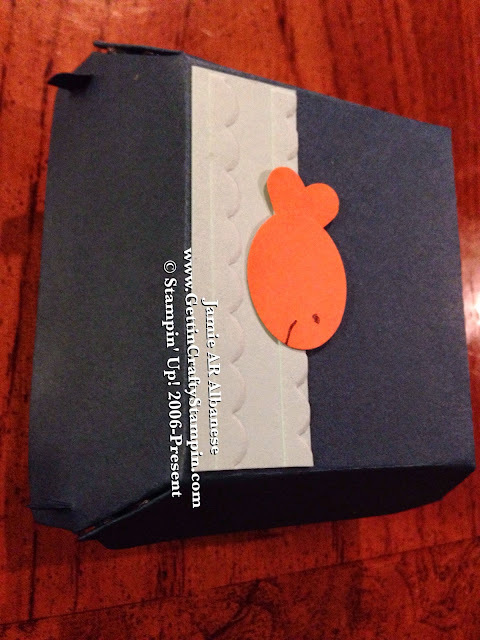 Loaded with some cute Little Nemo themed treats, this decoration/gift box delivered smiles at Andrew's 1st birthday!! Create a cute punch-art Little Nemo quickly and easily with our punches. The new Catalog and Idea Book is super cool. Receive YOURS when you email me your name, number and the best time to call you! Party and celebrate a 1st birthday (even if the kid won't remember, lol) and impress with cute decoctions and party favors like this! !